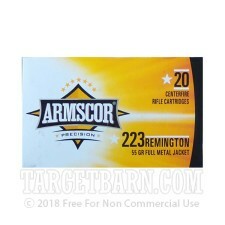 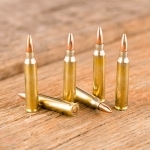 A range staple that delivers good accuracy and reliable ignition, this .223 Remington ammunition from Armscor is a solid choice for AR-15s and other .223/5.56 NATO rifles. 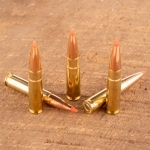 Each cartridge in this 20-round box propels a 55 grain full metal jacket bullet at 3,215 feet per second. 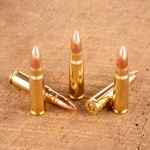 This ammo produces similar external ballistics to those of M193 ball ammo. 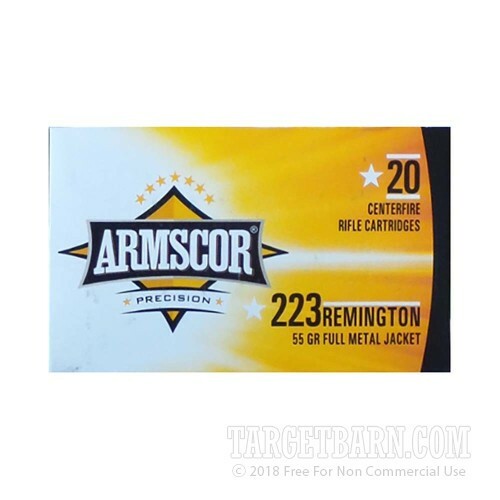 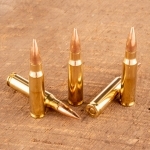 Armscor ammo is made in both the USA and the Philippines using non-corrosive Boxer primers and reloadable brass cases.